After opera or ballet performances whose live broadcasts have been increasingly available in movies theaters, a third child of the Classical music family has been rocking on the white cinema screens…orchestral music. Many a classical music lover or a curiosity-driven person can indeed experience the Berliner Philharmoniker in his or her local cinema since 2011. The new season is available on line. Living in USA or France like me ? No way to enjoy the “frisson du direct” from the Berlin-located orchestra in a movies theatre :(. However do not be too disappointed! 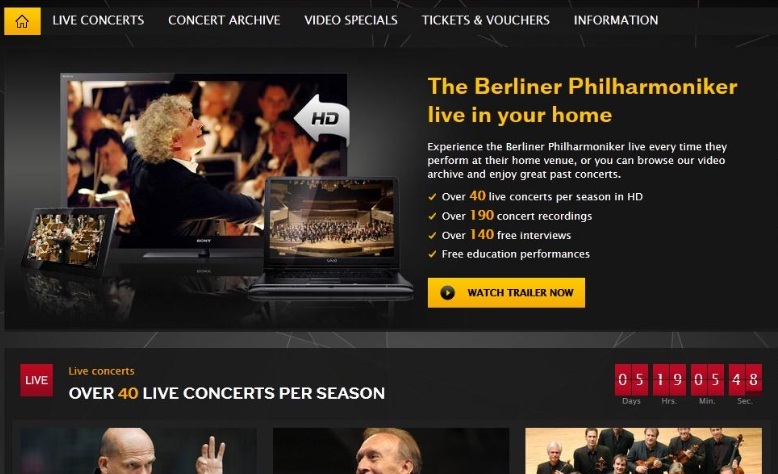 Some live concerts are broadcast directly from the web TV of Berliner Philharmoniker. Created in December 2008 (! ), the digital concert hall is the Orchestra’s Internet platform that enables music fans all over the world to enjoy the Berliner Philarmoniker ‘s concerts, live or on video on demand. Not aware of the Berliner Philharmoniker ?Let’s tell in a nutshell what this Orchestra is ! Established in 1882, the Berlin Philharmonic aka ‘Berlin Phil’ (Berliner Philharmoniker in German) is one of the most well-known and old classical music orchestra in the world. The ensemble was directed and conducted by famous iconas such as Wilhelm Furtwängler, Herbert Von Karajan, Claudio Abbado. it is now under the English baton of Sir Simon Rattle. Let’s remember that one of the former conductor and director, Herbert Von Karajan was obsessed with technology and constantly worked on improving the sound of the Berlin Phil he directed from1955 to his death in 1989. This obsession led to the Berliner Philharmoniker record the first ever classical CD in 1980. In 2008, the orchestra launched its web TV (called digital-concert-hall) enabling music lovers to listen live and relive performance or exclusives interviews for 14,9 € (Taxe included) a month. This web-TV was possible thanks to its in-house high definition recording and studio technology supported by the patron of the orchestra (The Deutsche Bank). It is therefore logical for such a major orchestra to be the first to leverage digitalisation with broadcasts in movie theaters. On top of that it was the first musical institution ever to use 3D technology in its broadcasts in 2011 in London. The ‘Philar de Berlin’ is considered as one nay the best Orchestra in the World. It is a fabulous brandname that digital technology has been leveraging for decades. So not surprisingly, regarding social media, from all the musical cultural institutions I know, it is the one heralding the larger number of Facebook fans. In my last survey of social networks amidst music institutions achieved in early April 2013, the Berlin located orchestra had more than 370 000 fans. In mid November, the orchestra had circa half a million fans ! Sydney opera ranks second with more than 425 000 fans (mainly due to the building itself) showing that cultural institutions have very valuable assets to leverage to attract and monetize larger audience. I guess that the number of visitors of Sydney Opera House not paying to see a performance is quite huge 🙂 but people would run and pay for visiting the very building ! 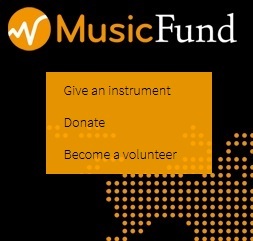 Some musical cultural institutions do have indeed a very high brandvalue and valuable asset to leverage. The Wiener Philharmoniker e.g. is indeed incredibly famous. Its New Year’s concert broadcasted in more than 70 countries reaches a 50 million audience on TV channels. The Wiener Philharmoniker, the rival cousine or the American rival New-York Philharmonic, both established in 1842 (40 years before the Berlin Phil), are strong candidates for the title of best orchestra in the World. In a digitized world, would it be sufficient to face with an institution such as Berlin Phil which has new technology in its DNA ? 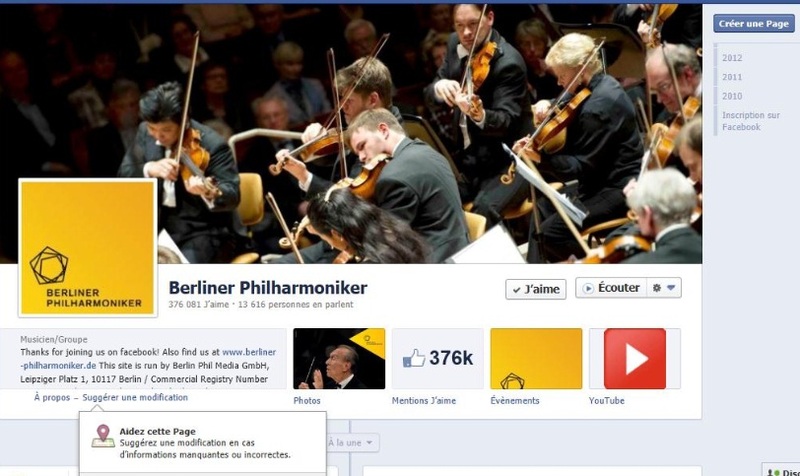 Berliner Philharmoniker : an Orchestra with digital in its DNA …by Ramzi SAIDANI in under terms and conditions of the licence Creative Commons Attribution 3.0 France. 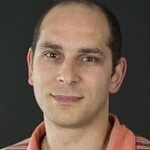 This entry was posted in Berliner Philharmoniker, digital & classical and tagged Berliner Philharmoniker, cinéma, classical music, digital, web TV, Wiener Philharmoniker by Ramzi SAIDANI. Bookmark the permalink.